Both brothers made it big in broadcasting—Johnny in radio while Charley switched to television and was an anchorman at major stations in both Chicago and Los Angeles before spending 20 years at a station in Spokane-Coeur d’ Alene, where he is now retired. Early in their careers, both worked at KOBH Radio in Hot Springs where they “did about everything.” While Charley made his mark as a radio and TV news anchor, Johnny had a knack for picking hot tunes before they were hits and he became a renowned radio programmer and station consultant. Wikipedia has three pages on Johnny’s career. He lives in Coeur d’Alene, Idaho, only about 20 miles from Spokane. 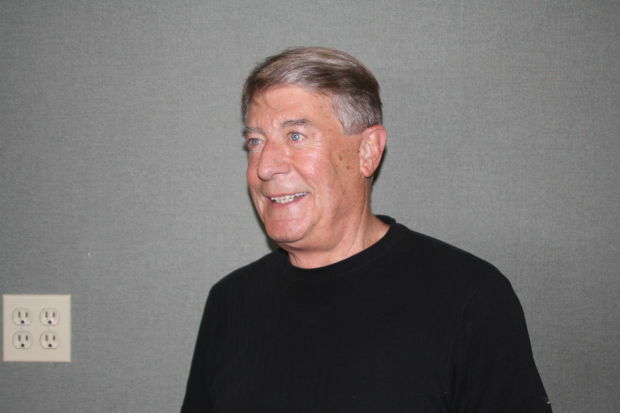 His stint in Cheyenne was cut short when some “high rollers” from San Francisco hired him to help build and set up programming for four new Northwest radio stations in Boise, Idaho, and Salem, Eugene and Medford, Ore.
Rook took a chance and in 1966 accepted a newscaster job at a tiny TV station in Coos Bay, Ore. Within six months, he was promoted to the company’s flagship station in Eugene as news director and anchor. “Our ratings were top notch and I enjoyed the staff at the station, even though I had a constant battle with some of the activist-liberals in the newsroom to make sure we were telling both sides of the story. Maybe that’s why the 5 p.m. news at KREM, which I co-anchored for the full 20-years, was constantly number one. I finally retired when I reached 72 and that was five years ago. He remains in Spokane after retiring and calls himself “a neighborhood volunteer” who is heavy into the Tea Party, Heritage Foundation and the National Rifle Association.